This rather young and all-round sport gathers a steadily growing fan community. It is no wonder that we see more and more modifications of the original idea. 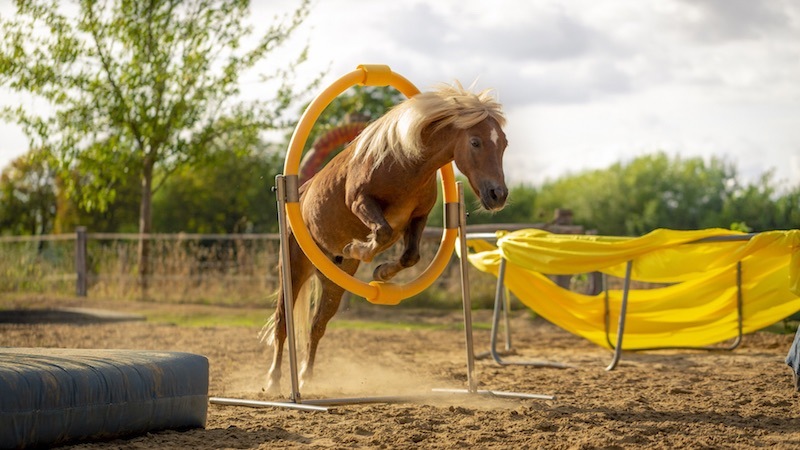 In order to avoid confusion, we will speak of True Horse Agility when referring to our invention. Why is this important to us? Because it is not only the breath-taking speed during a run, but also the method of training. 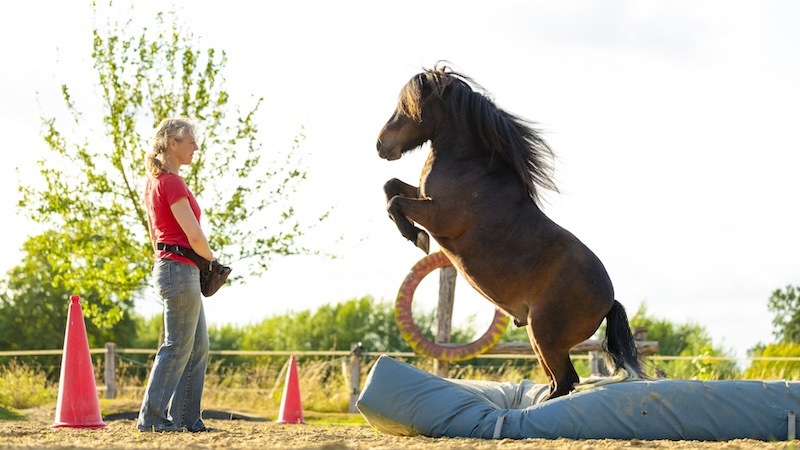 Wherever you watch us perform – during training sessions, at conventions, trade shows or competitions – we work with positive reinforcement. We refrain from using any kind of pressure, whatever form it may take: riding crops, whips or similar conventional means of horse training. The exciting combination of rapid movement and utmost concentration trains body awareness and motoric skills. In addition to conventional jumps we use several different seesaws and various types of gym mats. At the Steigerwald Ranch we have a large and varied playground with a small hill, platforms, balancing board, two turntables, balancing beams and bars, a circus ‘fire’ hoop, slalom, various gym mats, various jumps, and a tunnel of 5 meters – an optimal setting for our annual Agility Competition and True Horse Agility training days. Free work using only positive reinforcement is one of the most glorious gifts we can give to our treasured horses.